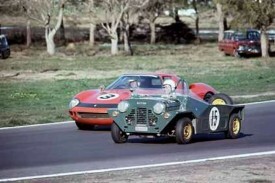 Commissioned by Leyland in the late 70's as an alternative Moke. 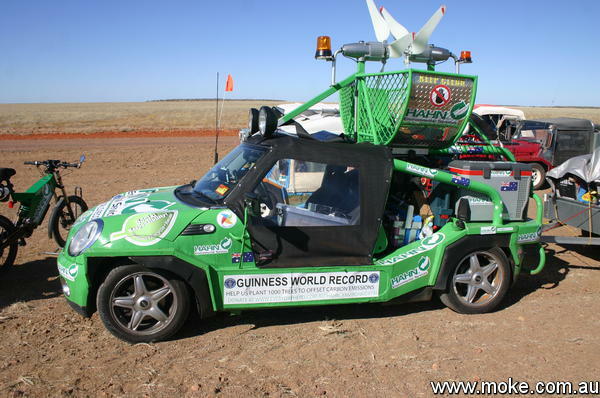 After leaving Bridsville and heading east on the 2011 Outback Icons trip we came across this 'BMW Moke' heading the other way as part of a World Record Attempt to pedal an electric bike, which is a contradiction when you think about it, the 1600km to Birdsville. 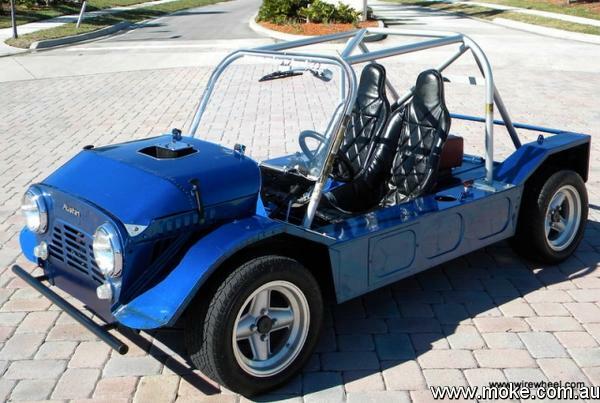 Another interesting Moke we came across on the Outback Icons Touur in 2011 was this Australian built, and it would appear registered, Moke that is factory left hand drive. 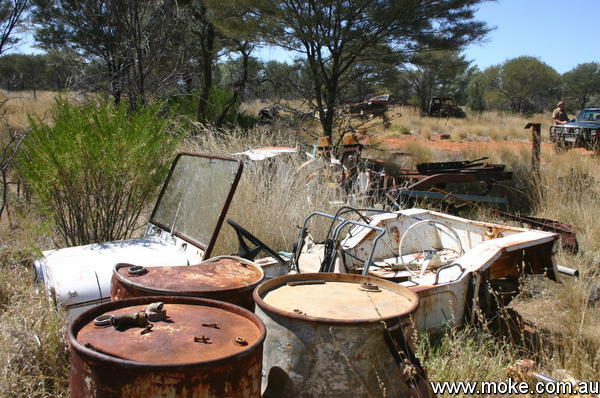 Many factory lefthand drive Mokes were produced in Australia but not too many stayed. 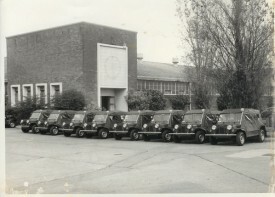 This photo was shows a line up of Military Mokes, nine in total, with a few extra Army trimmings and appeared to be unused when the photo was taken. 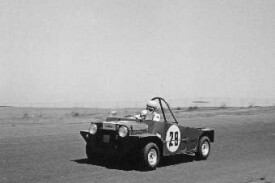 Not a lot of information is available about the source of the photo however the features of the Mokes suggest 1968 or 1969. 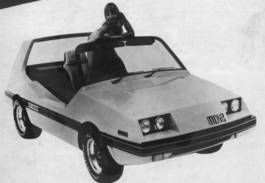 Due to the photocopying prowess of Les, pages of the official Department of Defence purchasing book has been made available which detail the buying and selling of around 260 Mokes and 90 Moke trailers from 1969 to 1980. 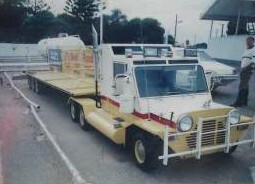 An iconic Moke for many people has been the promotional Moke customised to look like a Prime mover complete with tri-axle trailer parked in front of the Shell service station in Port Wakefield, South Australia. Having been missing for some years now it re-appeared for sale on eBay and Mavro took some pictures of the details.